Try this leather dog collar with brass plates and nickel cones for mastiff walking. Colors: black, brown and tan. Sizes: 14-40 in (35-100 cm). 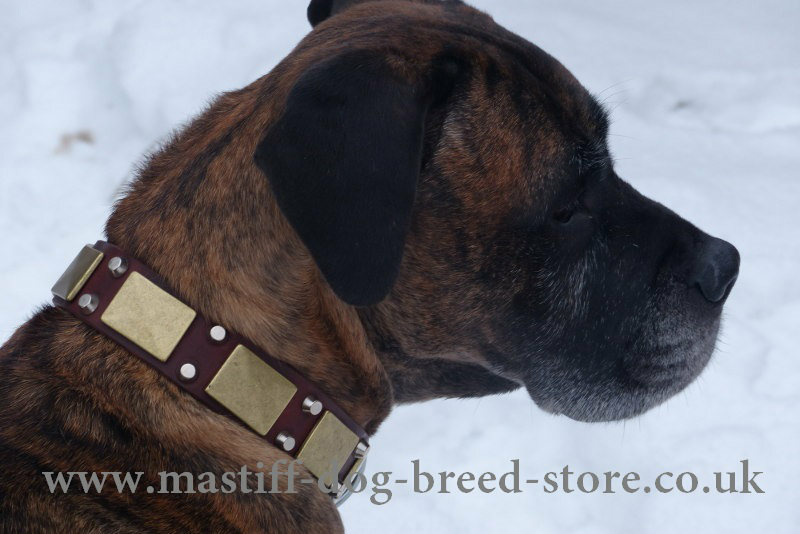 Boerboel Collars for Strong Control Over a Big Mastiff and Awesome Style! Boerboel collars have special design to help you control a huge power of your giant pet. We propose a strong dog collar of genuine leather, that is thick and soft. 3.5 mm thick leather makes this dog collar very reliable for South African Boerboel. 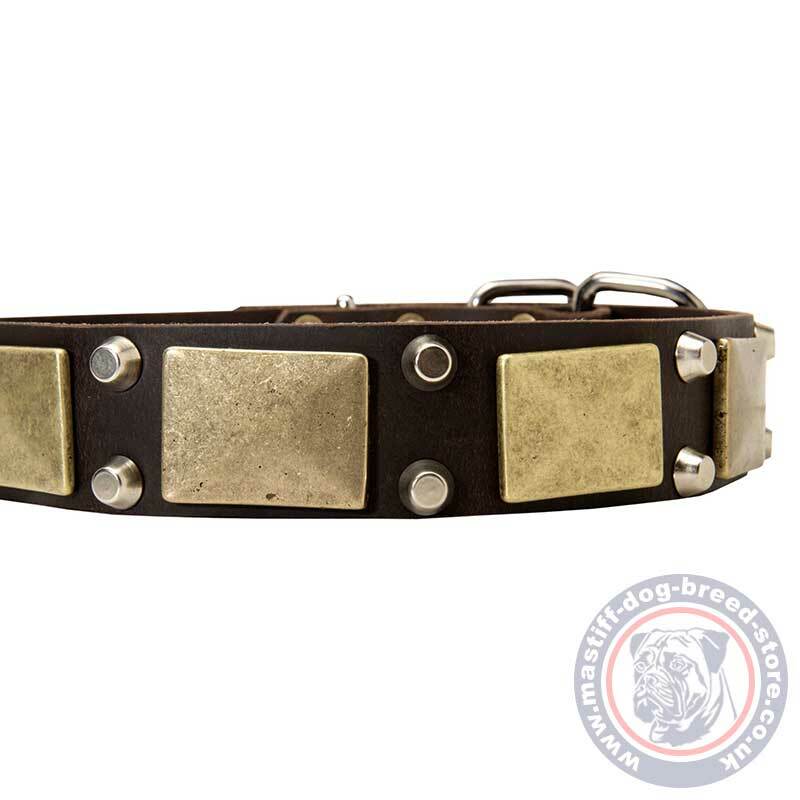 Vintage brass plates and chromed pyramids add style to your dog and make this designer dog collar stunning. It will become your dog's favorite accessory! 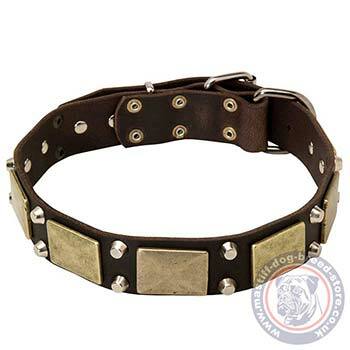 We guarantee, that the leather used for manufacturing of these Boerboel collars is very strong and durable. So you may be sure in relaible control over your Boerboel Mastiff. All the hardware details as well as decorations are rustproof, smooth and carefully fixed. The comfort of your dog is our motto. We assure you, that these Boerboel collars respond to all requirements, they are safe for dog’s health and very comfortable. Collar edges are hand polished not to rub or cut into the dog’s skin. Magnetic style of this designer dog collar draws everyone's attention. Massive vintage plates and studs make your pet look gorgeous.